Happy ending for Kona, 10 years in the making! Kona, a senior pit bull, was abandoned at a municipal shelter after suffering a heroin overdose. It was believed that the overdose caused brain damage. That prognosis, together with the fact that Kona is a pit bull and a senior dog, made him "unadoptable." Several months later, the girls of Mr. Bones & Co. met this resilient, determined dog, and decided to bring him into their One Lucky Pup rescue, rehabilitation and adoption program. Kona won them over with his sweet, gentle, happy nature. Through an extensive vetting protocol, they fixed his teeth and several of his health issues. But the more tests they ran, the more bad news they received about this sweet, loving doggie: degenerative brain disease, tumor... It did not look good for Kona. But the girls of Mr. Bones & Co. never gave up... and Kona was adopted this week! 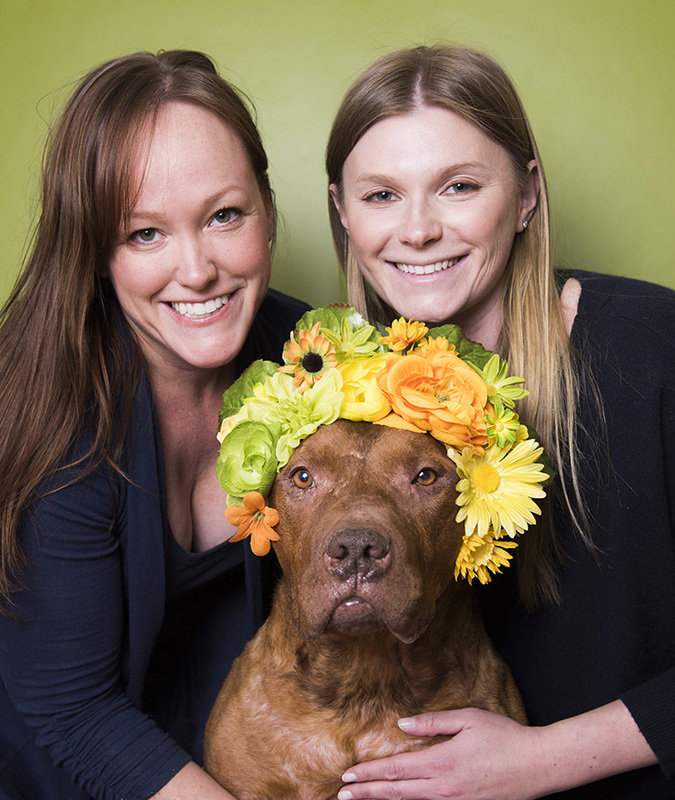 A few weeks ago I met Kona for a very special private #PitBullFlowerPower shoot at the vet's office. I set up a tiny studio in a corner. That first photo on the left is Kona meeting me for the first time. He just wobbled towards me, his tail wagging, and covered me in kisses! What a love bug!